Marriage Proposal worthy "Lemon Coconut Bars"
Oh yeesssss.... these bars so amazing, they're worthy of a marriage proposal. So I'll keep the desserts coming to these guys and girls. They really know how to make a baker feel special. Now back to these Lemon Coconut Bars... they are the perfect combination of sweet and tart. One flavor doesn't over power the other. The coconut shortbread crust is the perfect compliment to the citrus filling. I hope you give these "Lemon Coconut Bars" a try for your next event. You just might wind up engaged! Line a 9"x13" baking pan with foil and then parchment paper (makes for much easier clean up). 1. Mix together Flour, Butter, Sugar and Coconut until well combined. Form into a ball. 2. Put the dough ball into the prepared baking dish. 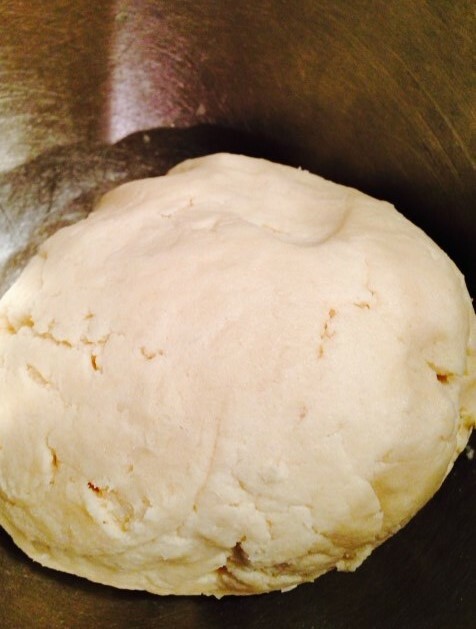 Gently press down till the dough evenly covers the bottom of the prepared pan. While the crust is baking, start on the filling. 1.Mix together 1 1/2 cups sugar, salt, 1/4 cup flour and baking powder. 2. Mix together whisked eggs, lemon juice with zest and vanilla. 3. Add the sugar mixture to the egg-lemon mixture until it is blended to a smooth batter. 1. Pour egg mixture over the hot crust making sure you have covered all the surface. 4. Cut into 20 squares. I have a confession to make. Normally I'm a very "plan-ahead" type of person. I don't like to leave things until the last minute. My job is too stressful and unpredictable to leave my personal life to the same type of chaos, but somehow the entire month of May (and now part of June) slipped away from me. Where the heck did all the time go? 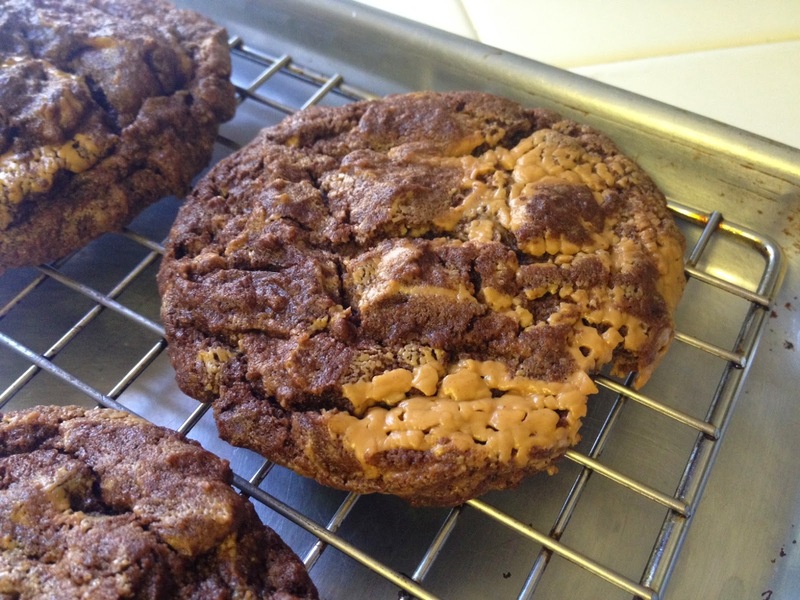 I hope these Double Chocolate Peanut Butter Swirl Cookies make up for it. Marissa mentioned she likes chocolate so who am I deny chocolate to anyone? I practically live off of the stuff! 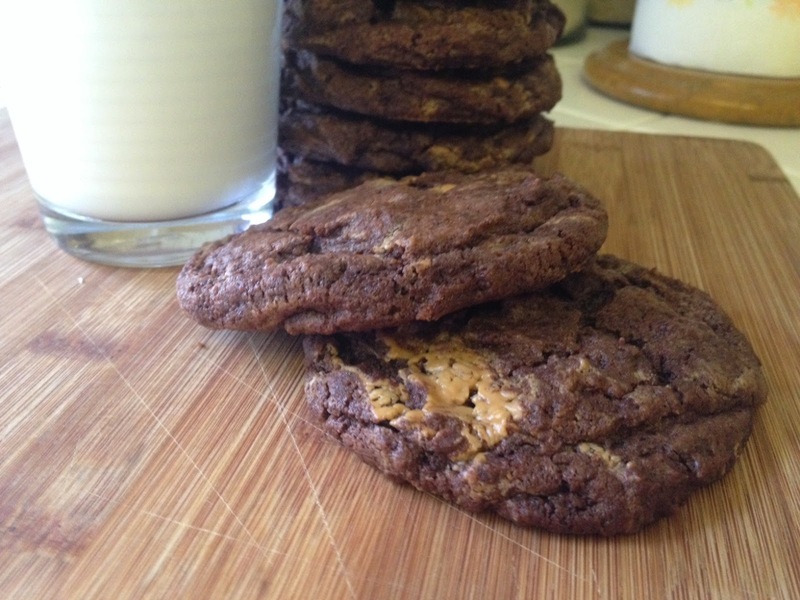 These cookies definitely deliver in the chocolate flavor department. They're rich and fudgy and the creamy swirls of peanut butter combine perfectly with the chunks of chocolate. Place the 1 cup of peanut butter in a shallow bowl and freeze for 30-45 minutes. Line cookie sheets with silpat or parchment paper. In a medium size bowl, combine the flour, cocoa powder, salt and baking powder. Whisk well to combine. Set aside. Place the butter, sugar and brown sugar in the bowl of your stand mixer fitted with the paddle attachment. Mix on medium speed until light and fluffy (approx. 3 minutes). Add the eggs and vanilla and mix on low speed until combined. Scrape down the bowl and add the dry ingredients. Pulse a few times to combine so the flour mixture doesn't fly all over the place (take it from experience) then mix on low speed just until combined. 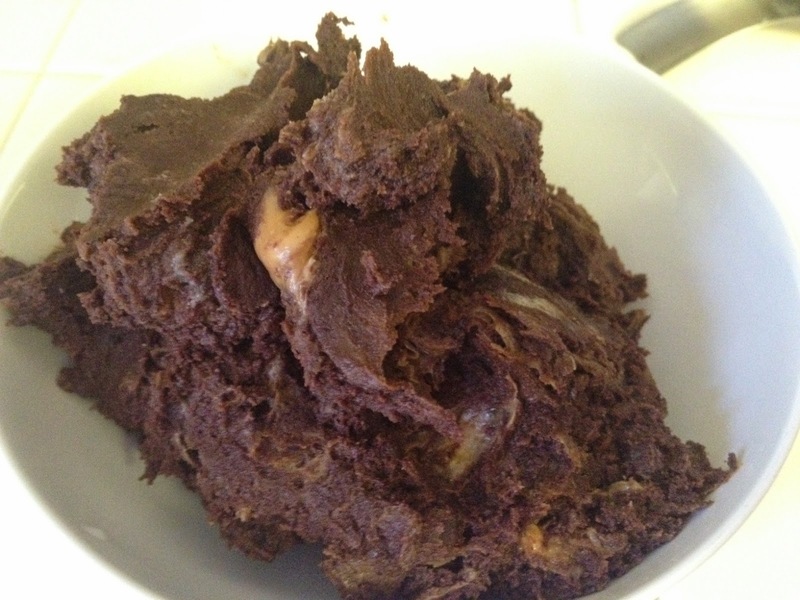 Remove the peanut butter from the freezer, then remove half of the dough from the mixing bowl. Dollop half of the peanut butter mixture on top of the dough in the mixing bowl, then put the other half of the dough back in the bowl and dollop the remaining peanut butter on top. This ensure more even distribution of the peanut butter. Pulse a few times just to create swirls of peanut butter throughout the dough. You don't want to over-mix and incorporate the peanut butter into the dough too much. There should be large swirls of peanut butter throughout the dough. Using a large cookie scoop, place 5-6 balls of dough on the prepare cookie sheets and bake at 350f for 14-15 minutes or until cookies are set. Remove from oven and allow cookies to cool on the baking sheet for 5-7 minutes before removing to a wire rack. Store leftovers in an air-tight container for up to 2 days.